Misuzu, business manager of a large apparel company, gets extremely frustrated after a business trip to Shanghai, the place where her father ran away to after he left her family. After a failed trip, she is dumped by her boyfriend, and decides to quit her job. She returns to Shanghai to try to start a new successful life in the city she absolutely hates. Shinko, ex-con artist, gets offered a job at a governmental Audit’s Special Investigations Division. She is paired up with new rookie Suguru, as the 2 battle the corrupt and greedy of Japanese society. 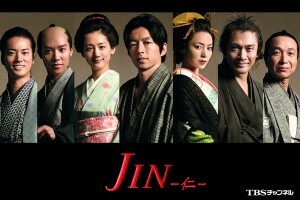 Brain surgeon Jin, suffering from his fiancée in a coma, time travels back to the Edo Period (late 1800s). He uses his knowledge to save all who he meets, and ends up becoming highly interwined with important historical figures while at the same time revolutionizing Japanese medicine 100s of years ahead of its time. Will he ever find his way back home and what is his purpose? This is one of the hardest dramas out there. It combines Edo-era + Medical Japanese for a very difficult to understand dialogue. But if you can get past that, you will absolutely love it. 8 law students who have recently passed the impossibly difficult Japanese bar exam, bond together as they enter the required training to become lawyers. They must study and work together, with their conflicting personalities and backgrounds, to finally achieve the success that they’ve always dreamt of. Toraji, former loan shark debt collector enters the world of Rakugo, a 400 year old traditional form of Japanese comedy. He must learn the difficult art, through the experienced and the amateur. Very funny but high level Japanese humor that is hard to understand. The last 4 virgins left in their high school fight to lose their virginity during their final summer vacation where they learn about the complications of life, love, and failure. Sakaki Makio, 27 year old high school drop out and future successor to his family’s Yakuza group, must return and graduate from high school or the Yakuza group will be left to his older brother. College student Kazumi has a money problem. He takes out $10,000 in loans to try please all of his friends. Now he is stuck with a a strange loan shark who buys his debt and tries to get Kazumi to pay back the money by taking him through a series of challenges and trials that amuse him. Will Kazumi be able to overcome these challenges? Will he free himself from debt or take on more? Or will he find new untapped ability that he never knew he had. 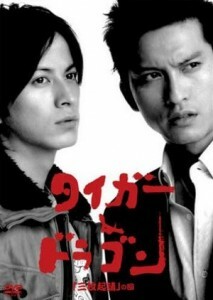 Oguri Shun has become one of my favorite actors over time and he really shines here in this comedic, yet silly role. Broke lawyer Sakuragi Kenji needs work and comes across a way to get his name out there. He will take 5 students from one of the lowest ranked high schools in the nation and in 1 year get them accepted to the elite Tokyo University. Vito, hard-working half-Filipino is on his path to make his culinary dreams come true. However he chooses the wrong friends which leads him down to being convicted of a crime falsely and later to a nightmare trial involving one of Japan’s first jury-system trials. This is one of my absolute favorites. 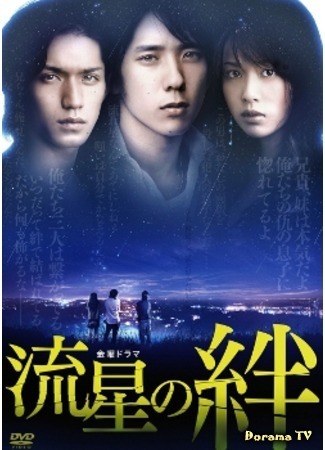 This drama is incredibly moving and probably one of Matsumoto Jun’s best. You also get the chance to see Oguri Shun as an evil villain. I just started watching Jin yesterday. Finished season 1 and half of season 2. Great show. Also a HUGE fan of Tiger and Dragon. 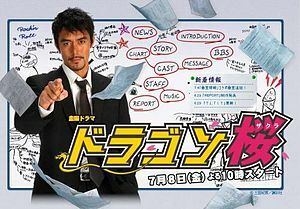 I really enjoy this Japanese Drama Guide series. Keep it up! You’ll enjoy the ending. It gets a little crazy. And I have many more drama recommendations to come. Might I ask, where is a good/recommended site to purchase these? I’ve found that DVDs are the most difficult to buy online, because a lot are actually bootleg. I once purchased Dragon Zakura on DVD and realized that it was obviously bootleg, because it look like it had been recorded from when it aired on TV. I would rather watch something online then support bootleggers. One website where you can watch for free that is legal is crunchyroll.com, though they don’t have much of a drama selection. YesAsia.com is expensive, but it’s legal. Also, DVDs in Japan are actually more expensive than ours are in America, which is a reason why they are so expensive to import (fact from my husband). Most Japanese rent DVDs rather than buy. Netflix has a good collection of movies and anime (though, I haven’t seen any dramas), so you may want to look into that. Correction on My Boss, My Hero: Mikio is Makio’s younger brother, not older.